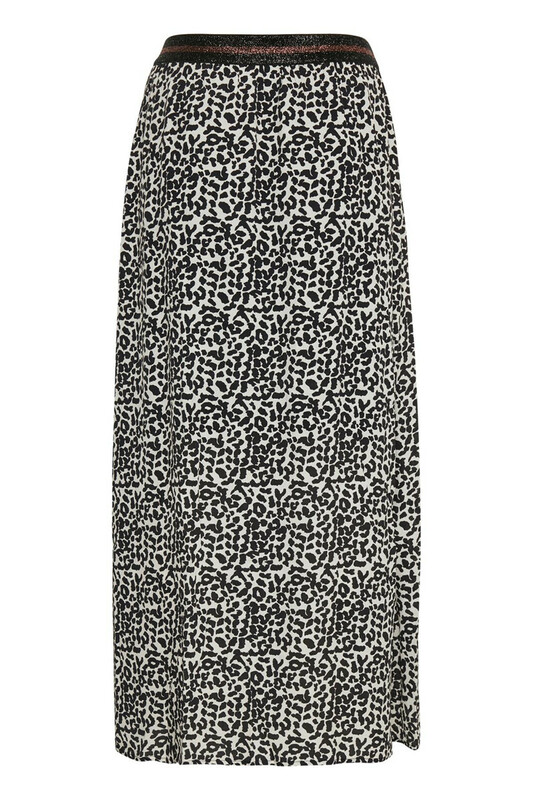 Spot on maxi skirt for spring and with trendy leopard print from Culture. 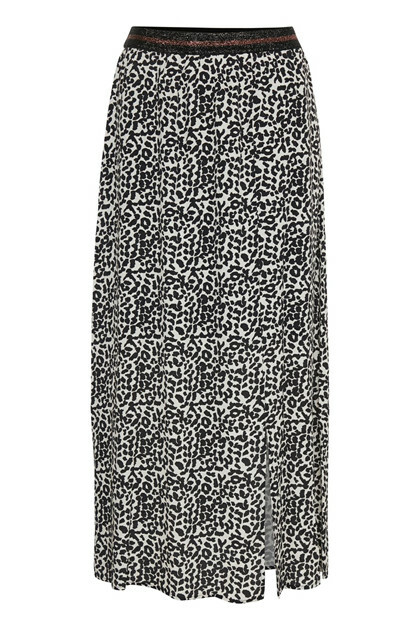 The skirt is long, has an elastic waistband with glitter details and an undergarment skirt above knee. 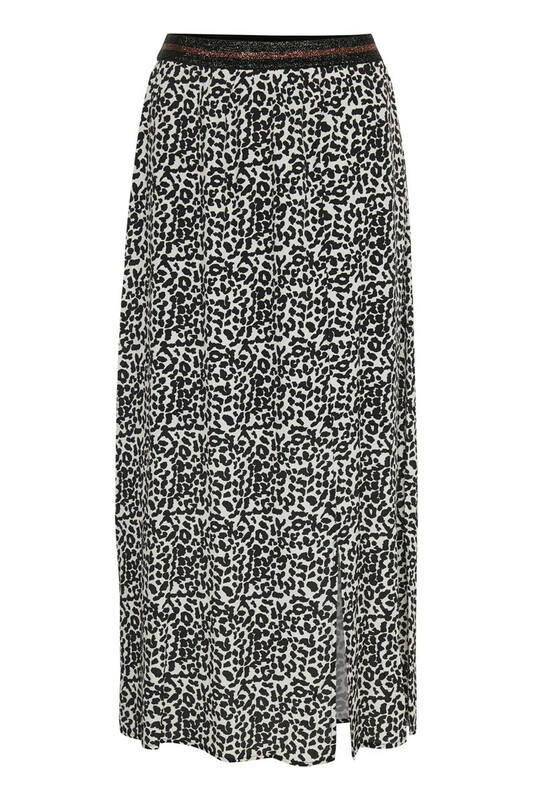 The nice animal print skirt is comfortable to wear, and it can be used for both everyday use and party events. 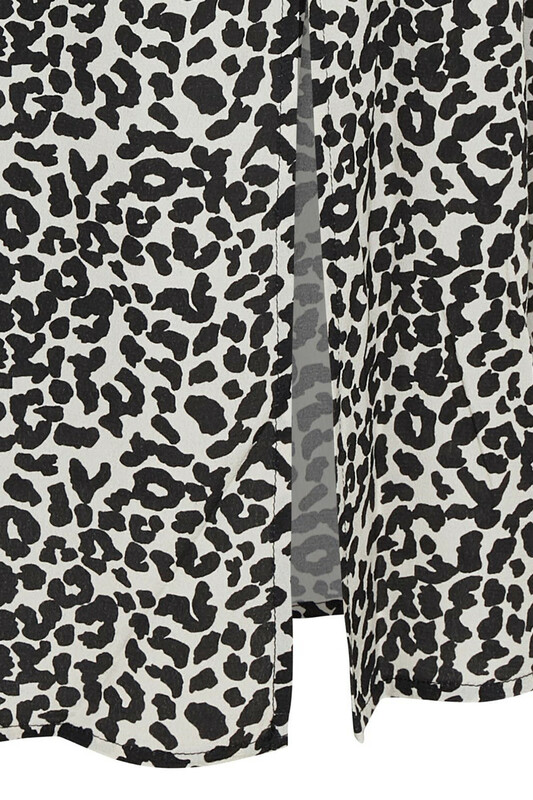 It has a small slit at the back. It's easy to style with a white T-shirt for everyday use and a nice silk top for a party occasion.